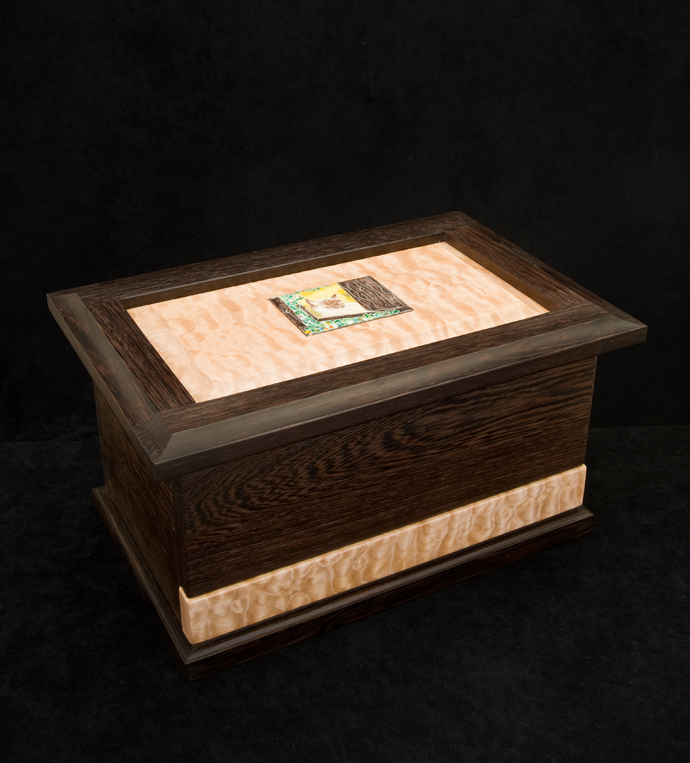 I just wanted to show some pictures of a beautiful “treasure box” that Rick completed in December for a dear friend’s 60th birthday present. 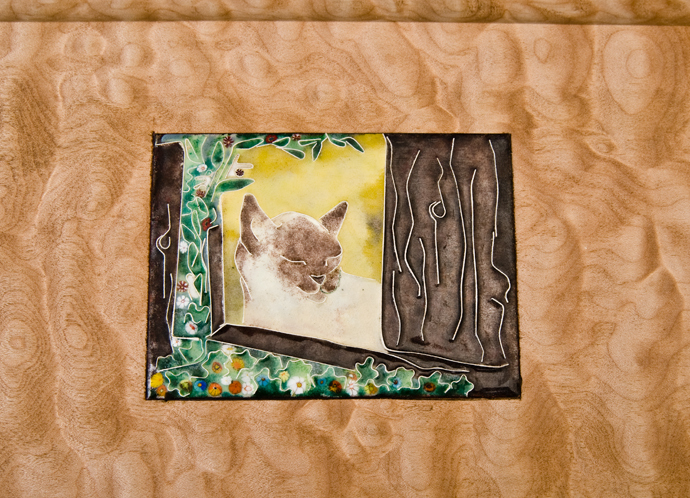 I had purchased a small enamel piece called “Cat Heaven” from Gloria Spiwak, who is a fellow member of the Winthrop Gallery. I suggested to Rick that he use it in the lid of a box, imagining something the size of a shoe box. 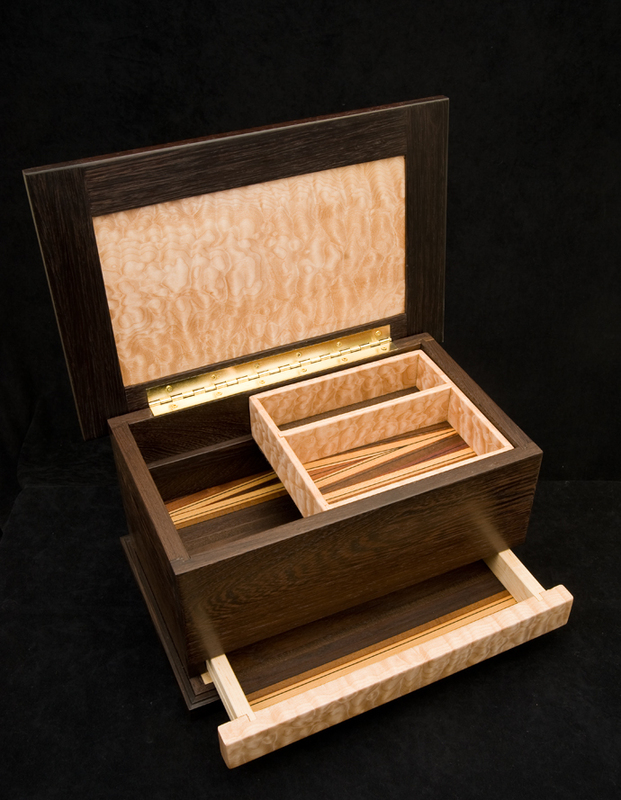 Well, he found some special woods (wenge and quilted maple, for the most part) and got a little carried away. The bottom of the tray, lower drawer and the inside of the box itself are water-ski veneers from the 1960’s that he had laid up on core stock. Photos by Teri Pieper, also a member of the Winthrop Gallery. Wow! Rick! Nice vision! Not to mention, the execution!